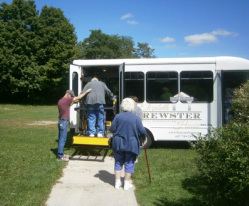 Services we offer - ELIZABETH BREWSTER HOUSE​"Enhancing A Tradition of Care"
Enhanced services offer a higher staff-to-resident ratio to provide greater care-giver availability than traditional assisted living for assistance with transfers and ambulatory care. The Enhanced Care program offers blood glucose monitoring and Insulin injections by licensed nursing professionals. The Enhanced Care Residence provides assistance with medications, including routine injections. The knowledgeable Enhanced Care Staff is able to offer assistance with complex medical equipment. The Enhanced Care team designs personalized and comprehensive plans of care. Residents are provided safe and convenient transportation to stores, libraries, community resources, and recreational events. Residents are offered assistance with hygiene management (including bathing/showering), medication management, dressing, and care reminders- daily, and as needed. All care is provided 24 hours a day by competent nurses and care aides. Emergency call systems are in all of resident rooms, suites, and common areas. The Elizabeth Brewster House on-site Case Managers offer personal, social, and financial support and guidance while acting as the residents’ family liaison.